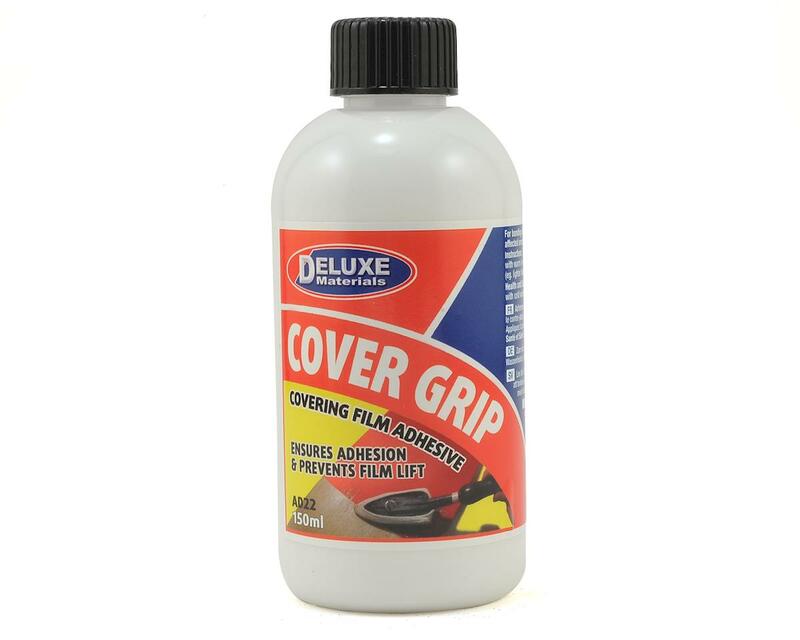 This is a 150ml bottle of Deluxe Materials Cover-Grip Covering Film Adhesive. Heat sensitive adhesive for increasing the adhesion of plastic covering films (even aluminum foil) and trim to balsa and ply surfaces. Ideal for hard working areas eg. engine bays.